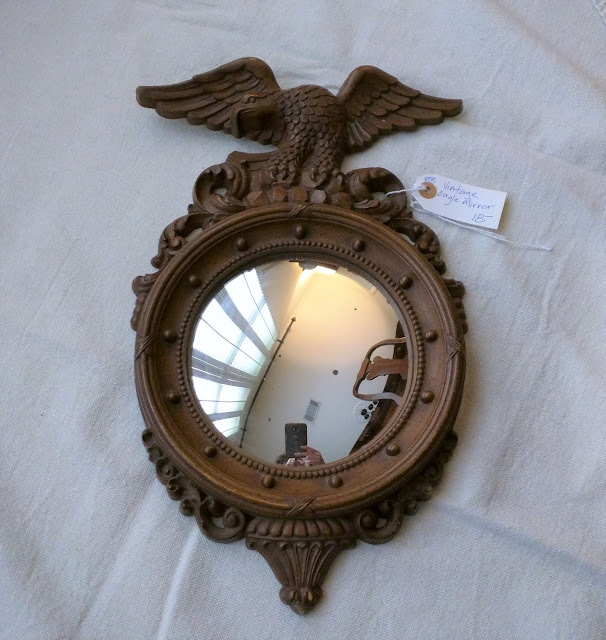 When I was putting together my anniversary post last week, I came across the pictures of my federal mirror I found last year and realized I've never posted about how it turned out or how I ended up using it. 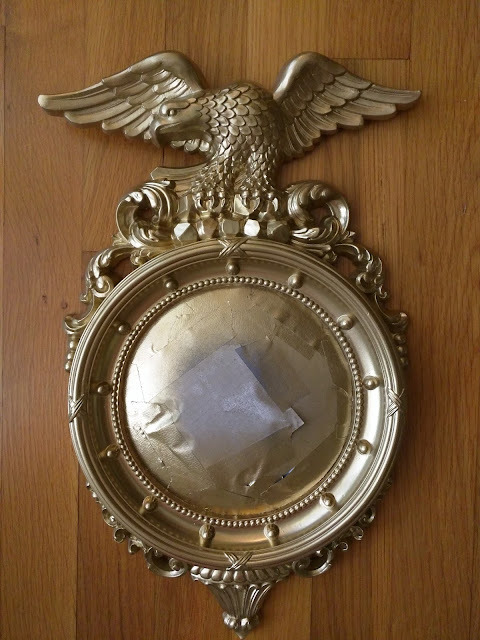 I've always loved the look of a federal mirror, and I shared some pictures that inspire me here. I had to prep it for painting because I wanted it to be gold. 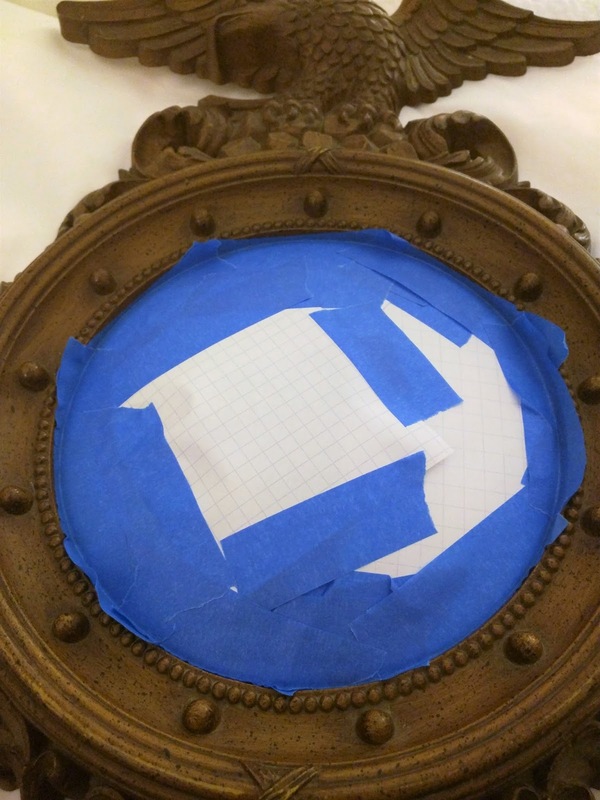 Like the other round mirror I painted, it took a bit of extra prep time thanks to the shape and angles. I followed the same procedure as before. I used a small strip of tape, pressed it down against the edges with my thumb nail, and used a razor blade to trim the excess. The paint I like to use for a really pretty, gold metallic finish is this one by Rustoleum. Just like expected--nice and gold. I'm using it in my dining room which was my plan all along. It feels slightly small for the spot I chose. But, I like it just as well for now. 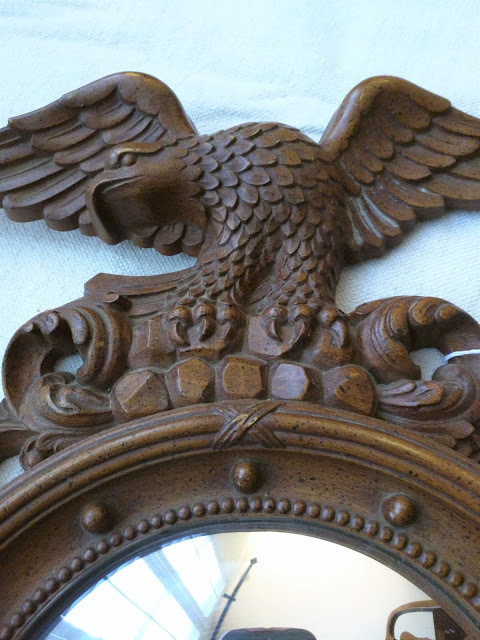 Here are three other mirror projects I've shared. Thanks for stopping by. Hope it's a great Saturday! Thank you so much! Greetings from Alabama!